Imricor announced today that it signed its first commercialization contract for the Advantage-MR EP Recorder/Stimulator System and supporting Vision-MR devices1 with the Heart Center Dresden in Germany. 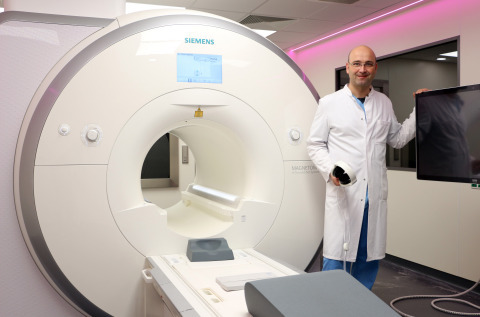 This agreement places the Heart Center Dresden at the forefront of clinical advancement for MRI-guided cardiac ablations and establishes the hospital as a world leader in the growing field of interventional cardiac magnetic resonance (iCMR). 1Delivery of Vision-MR devices will commence upon CE mark approval of devices. The Heart Center Dresden is a University Hospital owned by the Sana Kliniken AG. The Heart Center is structured into three departments – Cardiac Surgery, Cardiology, and Electrophysiology. Over 650 employees provide in-patient and out-patient services for nearly 25,000 patients per year. In alliance with the Technical University Dresden, medical education as well as research and sciences are integral parts of the portfolio.